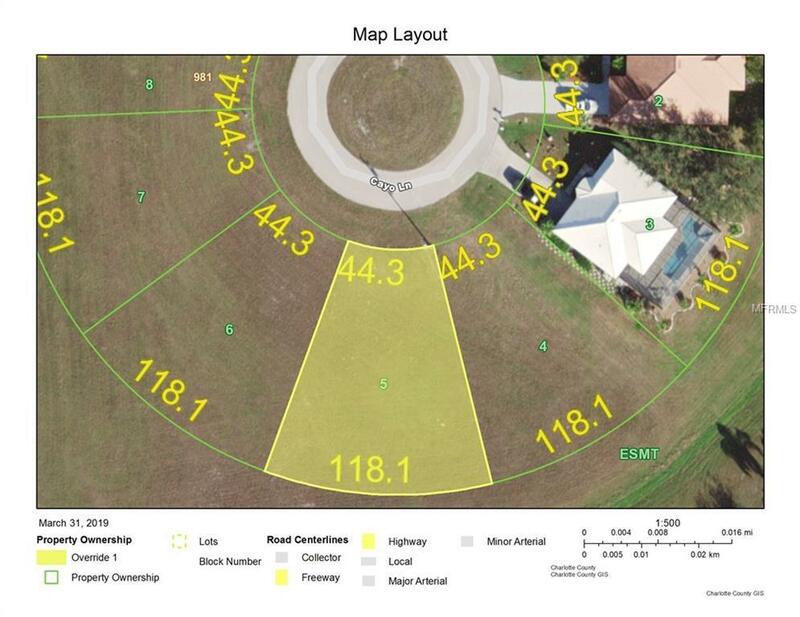 Burnt Store Lakes lot priced to sell! Build your Florida dream home in deed restricted Burnt Store Lakes! This quiet, upscale community located on the southern shores of Charlotte Harbor features 11 large lakes, a residents park & picnic pavilion, canoe/kayak launch to Charlotte Harbor, plus picturesque golf cart + bike/walking paths, streetlights and sidewalks. You will be surrounded by some of the finest custom homes in Punta Gorda. This cul da sac lot is cleared oversized just waiting for your custom home. Enjoy the resort lifestyle that continues into the adjacent community Burnt Store Marina & Golf offering public access, full-service World-Class Marina, plus golf & dining. The Burnt Store Corridor is a short ride to Punta Gorda Airport and convenient to Fort Myers Airport. Friendly deed restrictions, public water & sewer available and most homes are custom. There is just one Home Owners Association fee per year ($409), and no CDD or RDD. Association offers social opportunities and community events. Fantastic investor opportunity!